You’ve worked hard to make your business successful. You’ve carefully selected from qualified applicants, have the latest programs installed into your operating system and keep an open mind in areas that could use improvement. So what would you do if you went into the office and your computer wouldn’t turn on or you went to access an important file and it’s simply not there? With more information stored on computers and other electronic devices, this is a real possibility. Before waiting to experience this scenario – because it’s just a question of when and not if – it’s important to have a plan in place with a data recovery professional service to reduce your downtime to the bare minimum. The good news is that there’s still time to address the possibility of a hard drive failure. It’s important that every employee who uses the computers can identify if a problem is occurring prior to a full shutdown of your system. It’s a good idea to hold a meeting and make them aware of the warning signs and the steps they need to take if this happens. 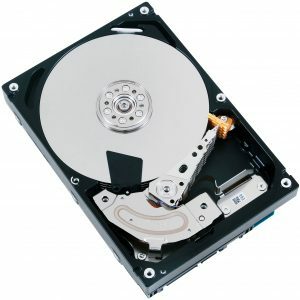 Many things can contribute to a hard drive failure, the most common being age. Computers are machines and while you may think they will run forever, this simply is not true. In fact, most computers last between 3 to 5 years before needing repair or replacing. For the most part, a computer doesn’t just stop working. It gives several indications ahead of time, that if you are in tune with, you’ll know something just isn’t right. It may be slow and sluggish starting up and shutting down, it may freeze up from time to time or you may notice that a file you entered yesterday isn’t there today. There are sometimes noises that go along with a slow system such as a screeching, grinding or clicking sound. That noise is your hard drive. In the case of malware infections you may also experience an error message or in severe cases the dreaded blue screen. Technology now gives employees the ability to work on numerous electronic devices from just about anywhere. Wireless devices like smartphones, iPads, tablets, notebook PCs and laptops are now more than not the go to’s for after hours. This gives employers a way to keep in touch with their key executives and satisfy their clients from around the world. But, it also means that there’s more at stake. If one of these devices go down before the information is transferred to the in-house operating system you could lose valuable time and maybe even lose your work. There’s also the possibility of a head crash while transporting. For these very reasons, it’s important to hire a professional data recovery service so that you regain your files and avoid lengthy downtimes. While you may think you’re not big enough for hackers to waste their time getting into your operating system, nothing could be further from the truth. In fact, large businesses are less likely to experience these time crimes because they have sophisticated firewalls and security measures in place. For the smaller company just coming into their own, the emphasis is all about bringing in the revenue. But, the reality is that if you don’t safeguard your system and hire a professional recovery service, you may lose everything. Remember, hackers dedicate 100 percent of their time findings ways to hold companies for ransom. You’ve done the work. You started a company from the ground up. You have big plans to expand even further through exciting web designs and multimedia sights. As you take your company to the next level, remember what’s at stake. Update your systems, install sophisticated firewalls and have a company waiting in the wings to assist on a moment’s notice with any computer issues that may come your way.